Two weeks to go with two holidays still up for grabs! Congratulations to the winners from the first two weekly prize draws. Enjoy your exclusive VIP summer holidays, courtesy of Betsson, all expenses paid. To all others, no need to despair as their are still two weeks left to win one of the two remaining holiday packages. Deposit and wager on any of their slots to earn your tickets. In addition to the exclusive trip there are also 150 weekly runners-up prizes, ranging from cash prizes to bonus money. To top it all off, if you have deposited and played for at least €50 on any slots during May, you will receive a surprise amount of Free Spins between 25 – 100 Free Spins, to be used on Wolf Cub or Blood Suckers II, or any other Netent game on desktop or mobile. Exclusive for players from Norway, Sweden, Finland, Netherlands, Germany, Switzerland, Poland or Iceland. Take part this May in 4 weekly prize draws, each with a superb holiday and 150 runners-up prizes. Earn 1 ticket to the weekly prize draws for every €10 deposited and wagered on any slots in the casino. No limit to the amount of tickets per player. Raffles will be held each Monday in May and winners notified shortly after. Prizes are allocated in the order the tickets are drawn. No cash alternative available for the holiday prizes. 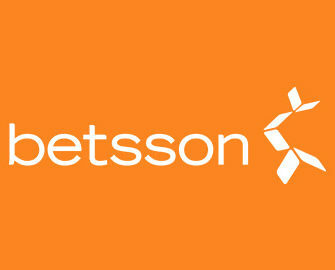 Bonus prizes have a wagering requirement of 10x, subject to the Betsson bonus terms and conditions. The Dubrovnik holiday includes return flights for two, 7 nights of accommodation in a 5* hotel with breakfast, Kayaking and Snorkeling in the Adriatic Sea, Mountain Cable Car Ride and Dubrovnik Old Town and City Walls Tour, Game of Thrones Dubrovnik Panoramic Cruise, return private airport-hotel transfers. The Tenerife holiday includes return flights for two, 7 nights of accommodation in a 5* hotel with breakfast, Pass to Loro Parque and Siam Park Theme Parks, Royal Delfin Cruise, Jeep Safari , return private airport-hotel transfers. 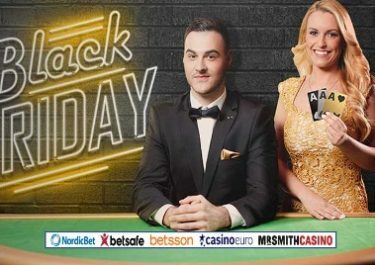 Every player who deposited and wagered minimum €50 on any slots throughout May at Betsson will receive on 2nd June 2017 a surprise amount of Free Spins ranging between 25 – 100. Free Spins can be used on desktop or mobile until 23:59 CET on 4th June 2017. Winnings need to be wagered 35x within three days before a withdrawal can be submitted.